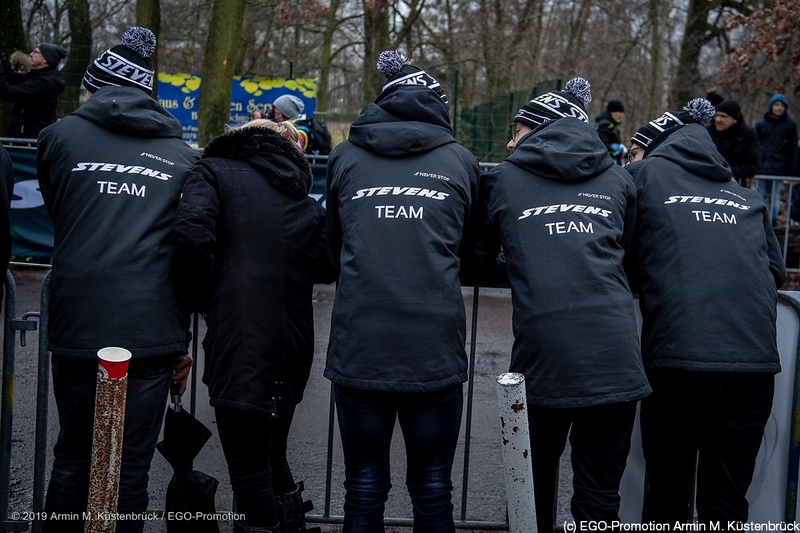 At national cyclocross championships numerous female and male riders won Gold, Silver and Bronze on STEVENS’ top-of-the-line ‘cross bike. 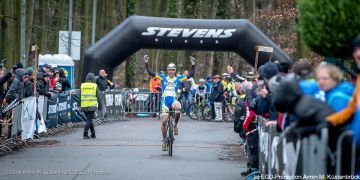 It is the first cycling championship of the year. 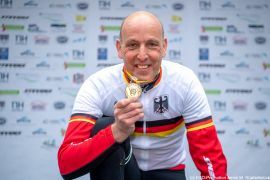 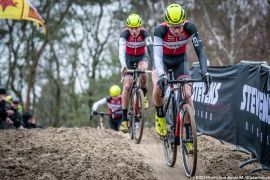 Three weeks before the Worlds national championships are held in most countries: For the honour, in some case for being nominated to the Worlds and of course for the coveted jersey in national colours (see all results on uci.org). 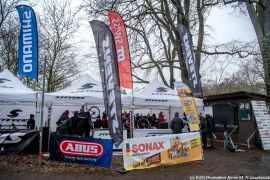 The male and female riders on STEVENS Super Prestige delivered many great results on the race weekend on January 12 and 13. From the Elite categories down to the U19 male and female juniors it was a total of eight (!) new and re-confirmed national champions to raise their hands in victory. 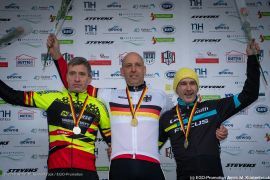 Add to that five Silver and five Bronze Medals and a couple of victories in the Masters and U17 classes. The Belgian media was discussing if Sanne Cant of team IKO-Enertherm would be able to win her tenth national title, since she did not have as great a start into her season like the previous years, and she also had injured herself in a crash the week before. 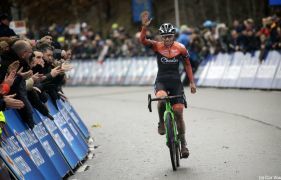 Yet, she was the best in handling the muddy course with lots of hill traverses and crossed the finish line with all ten fingers extended (what will she come up with next year?). 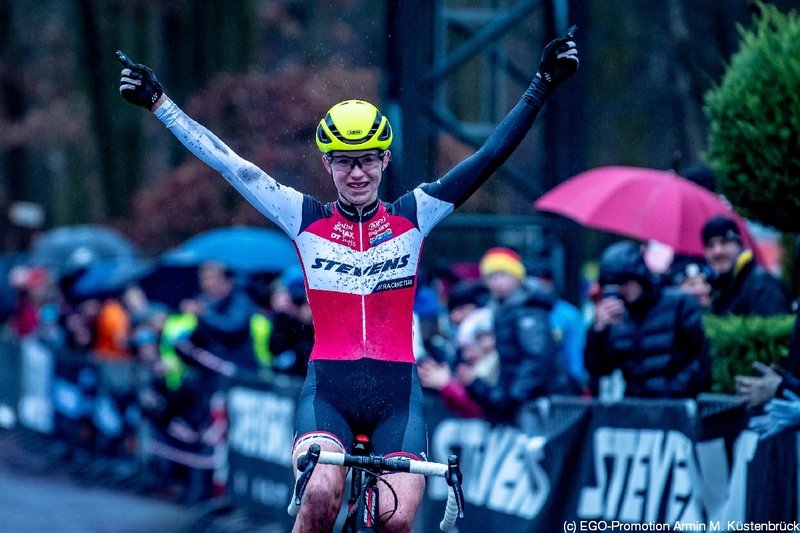 Silver was won also on Super Prestige by Loes Sels, Pauwels Sauzen Vastgoedservice, who had been considered Cant’s strongest competitor before the race. 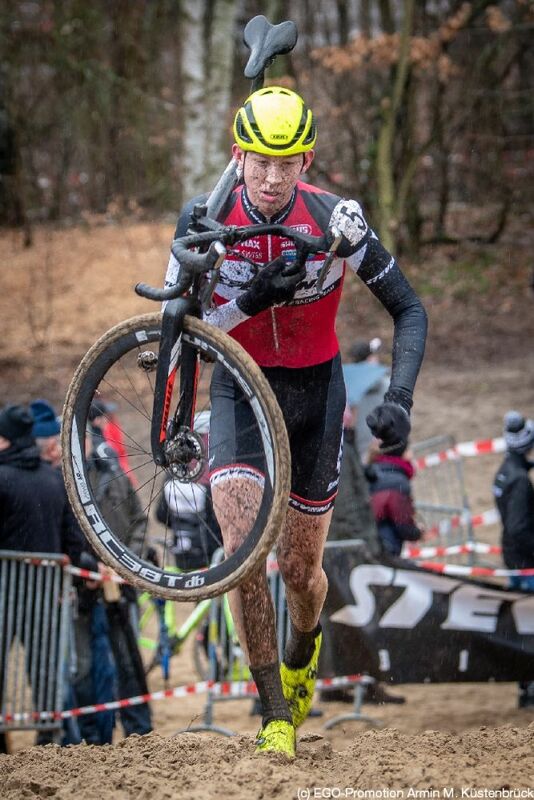 Sels’ team mate Jinse Peeters comes in 9th overall and third best U23 rider to receive the Bronze medal. 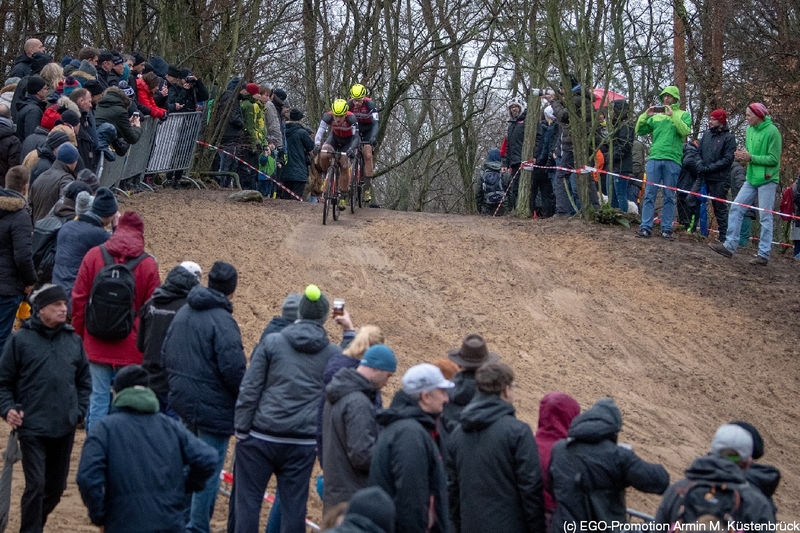 Quite a surprise in the Men’s Elite was the long duel between Toon Aerts and Wout van Aert (Cibel-Cebon, Super Prestige). 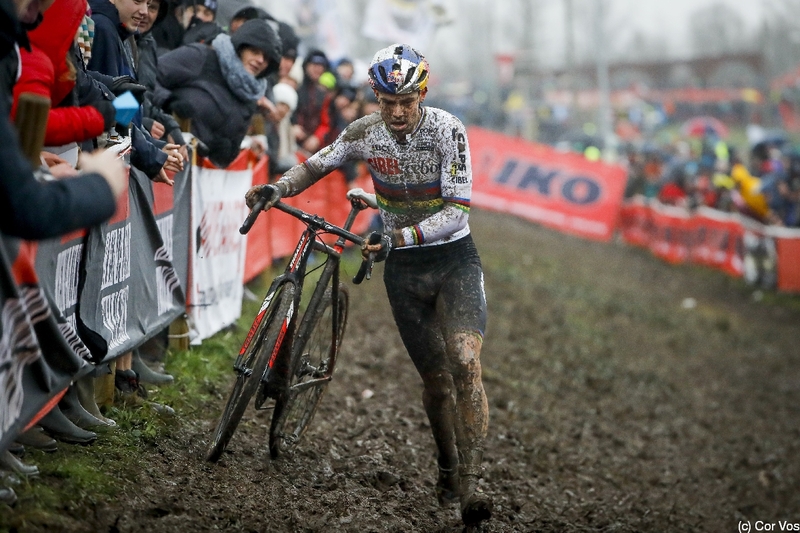 By the middle of the race, the World Champion still was 10 seconds ahead but obviously struggled with the muddy surface. 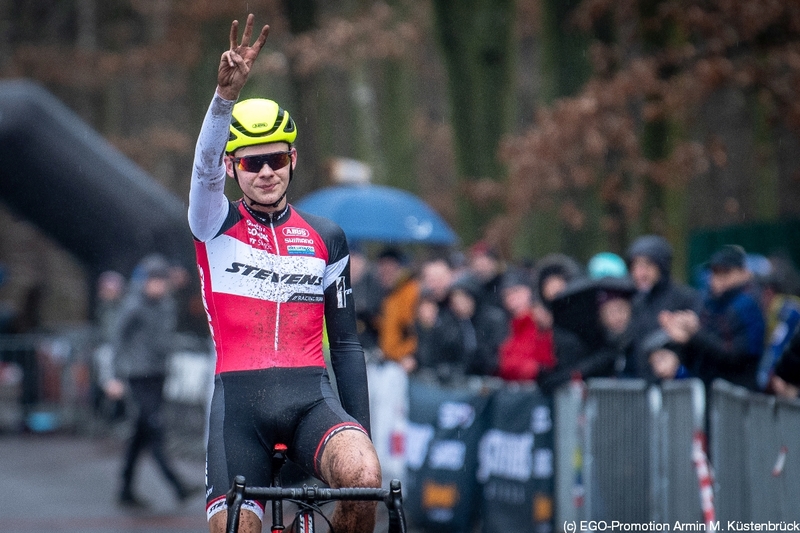 Toon Aerts eventually won by a significant margin, Michael Vanthourenhout came in third, Gianni Vermeersch of team Steylaerts 777 finished 7th. 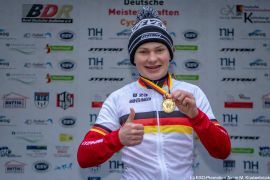 In the U23 race Timo Kielich of Steylaerts 777 rode the complete race in superior fashion and won the Gold Medal in that category. 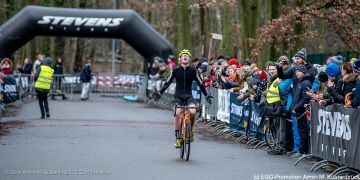 Ryan Cortjens of IKO-Beobank confirms his good form and wins the U19 competition. 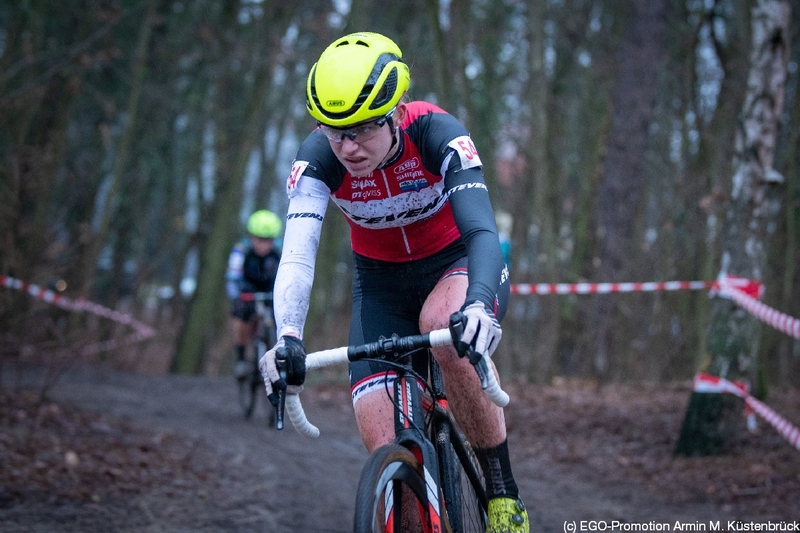 In the U19 female juniors his team mate Kiona Crabbé finishes third. In the Netherlands Maud Kaptheijns of Roompot-Charles rides to third place. 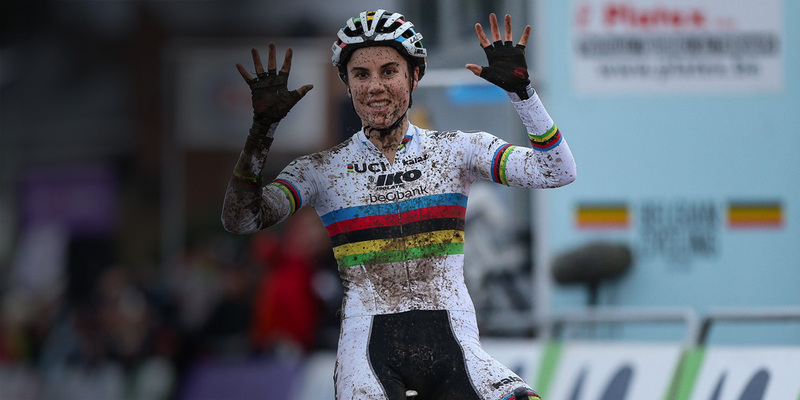 This was the best result possible, she said afterwards. 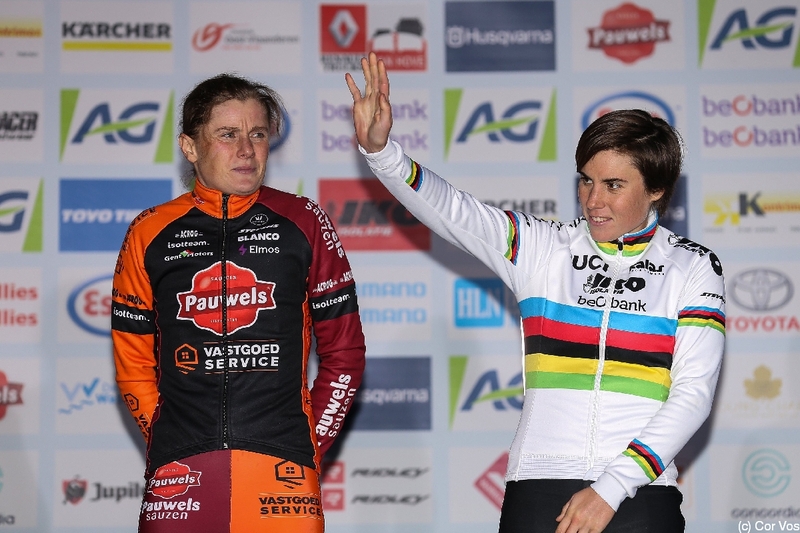 Winner became Lucinda Brand ahead of Marianne Vos. 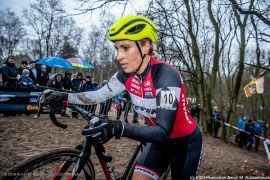 European Champion Annemarie Worst obviously did not have her best day and finished sixth. 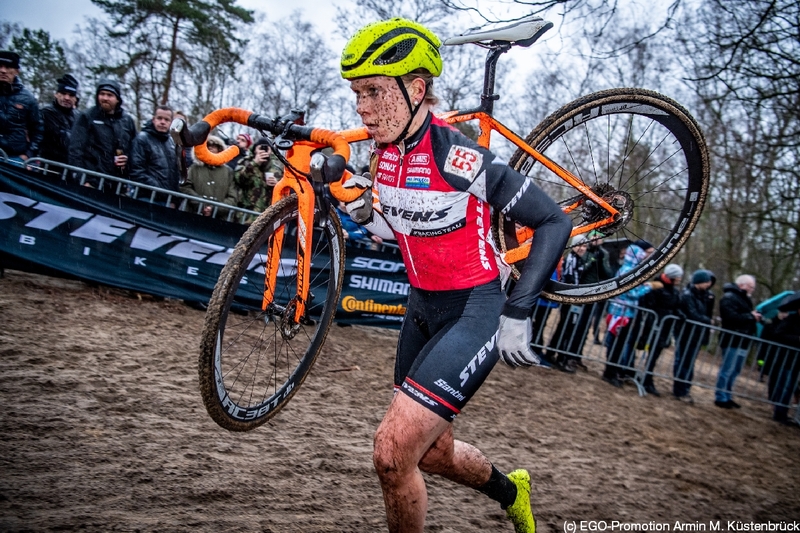 In the U23 race her Steylaerts 777 team mate Yara Kastelijns comes in a good fifth. 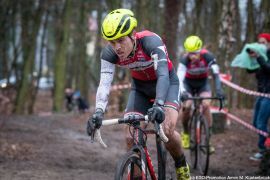 In the Czech Republic Tomas Kopecky adds to the array of medals awarded to Team Pauwels Sauzen Vastgoedservice. 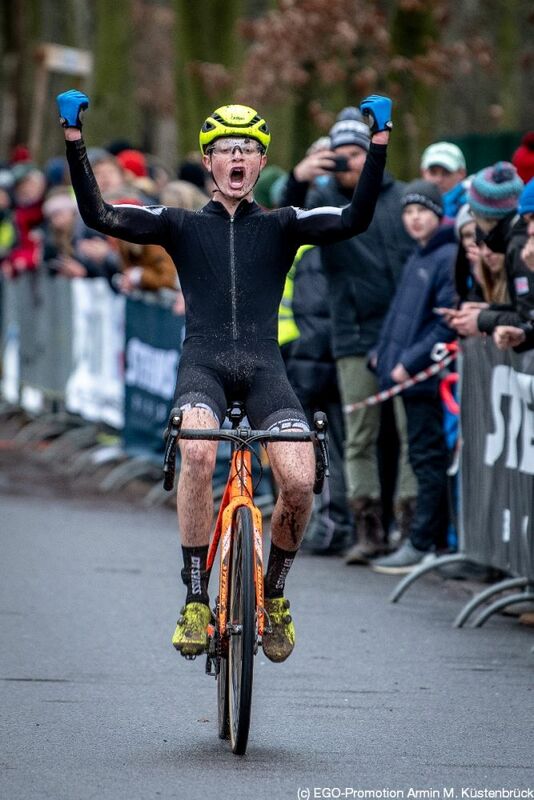 U19 World Champion Ben Tulett (IKO Beobank) repeats his U19 national title in Great Britain. 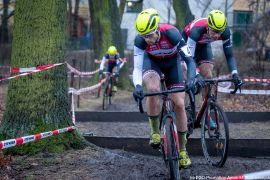 In Luxemburg Felix Schreiber and Misch Leyder ride their STEVENS Super Prestiges to second and third place in the U23 race. Meanwhile in Italy Alice Maria Arzuffi, riding for Steylaerts 777, ends up on the Silver rank behind Eva Lechner. In France Marlene Petit of team Safir Ganova wins Silver ahead of Marion Riberolle of Vondemolen Cycling Team. 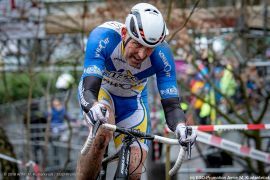 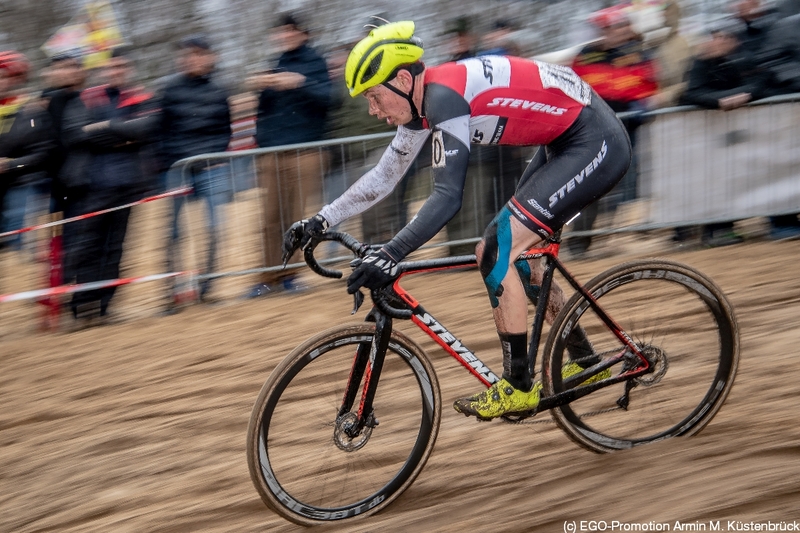 In Kleinmachnow near Berlin, STEVENS Racing Team confirmed its philosophy of developing young athletes in cyclocross. 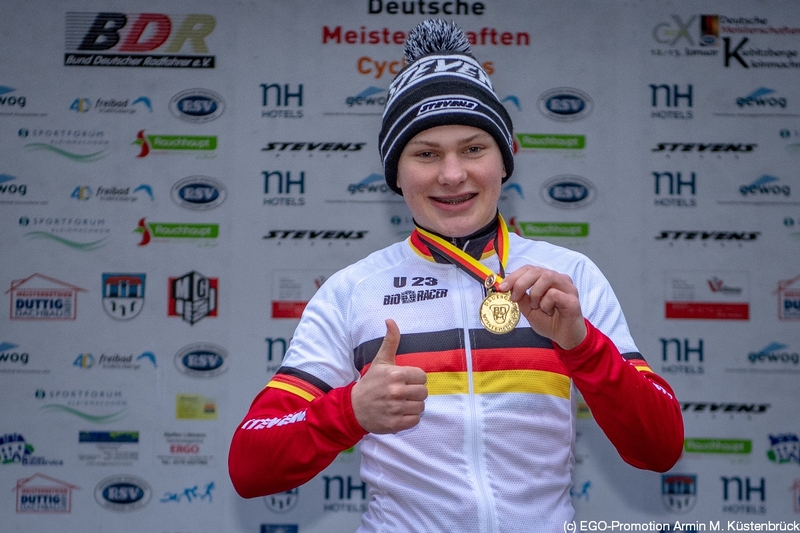 On a sandy course Tom Lindner confirmed his role as the favourite in the U19 category in superior fashion. 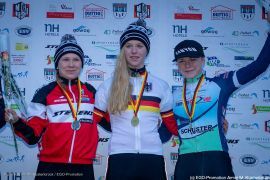 Emma Eydt wins the U23 competition way ahead of her STEVENS Racing Team mate Larissa Luttuschka, who wins Silver. 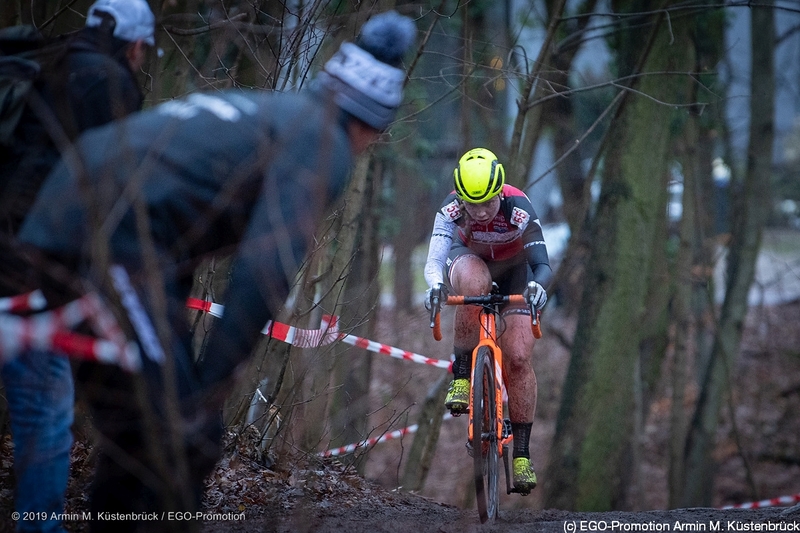 In the Women’s Elite race Elisabeth Brandau successfully defends her title ahead of a very strong Hanka Kupfernagel and third placed Stefanie Paul. In the Men’s Elite Marcel Meisen expectedly comes in first. 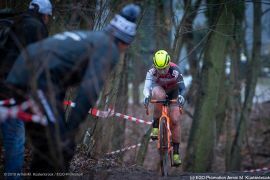 He wins ahead of Manuel Müller and Sascha Weber. Yannick Gruner of STEVENS Racing Team comes in fourth, team mates Jannick Geisler finishes fifth and Max Lindenau eighth. 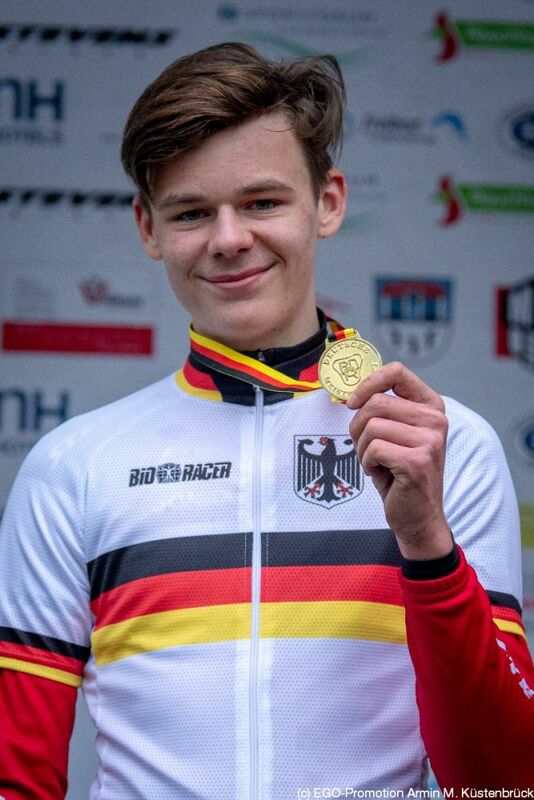 Luca Bockelmann wins the U23 race after Maximilian Möbis had been disqualified because of a rule violation when handling a mechanical. That training with younger riders has a positive effect was demonstrated by the team’s directeur sportif Jens Schwedler. 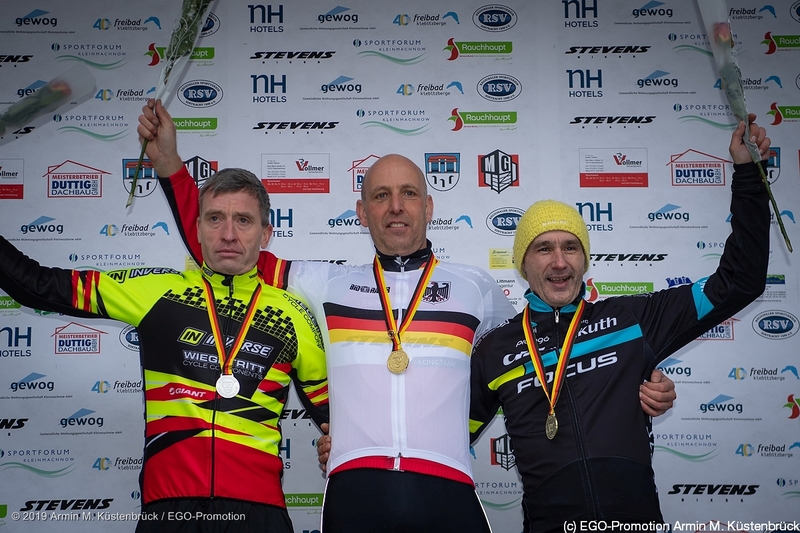 He wins the Masters 3 race by a significant margin. 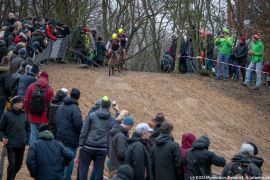 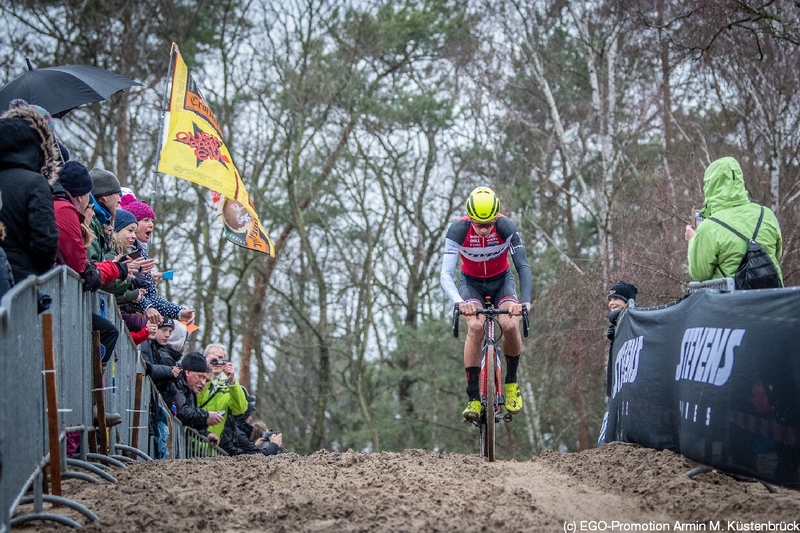 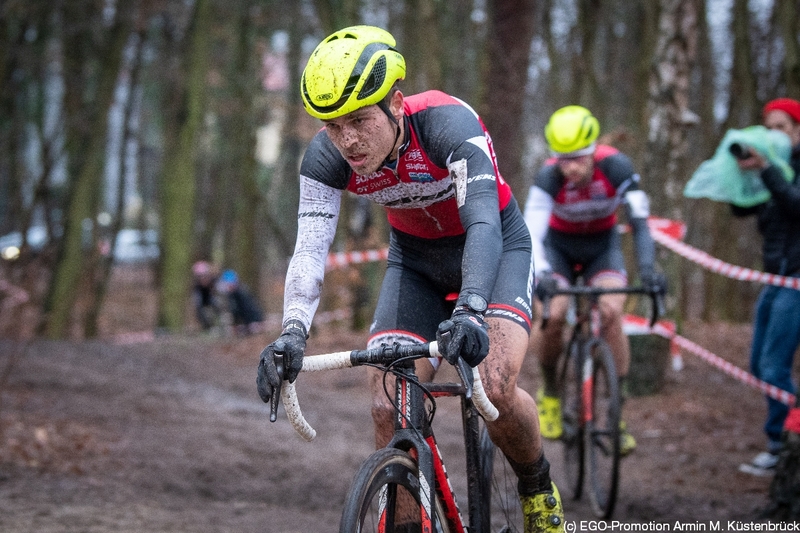 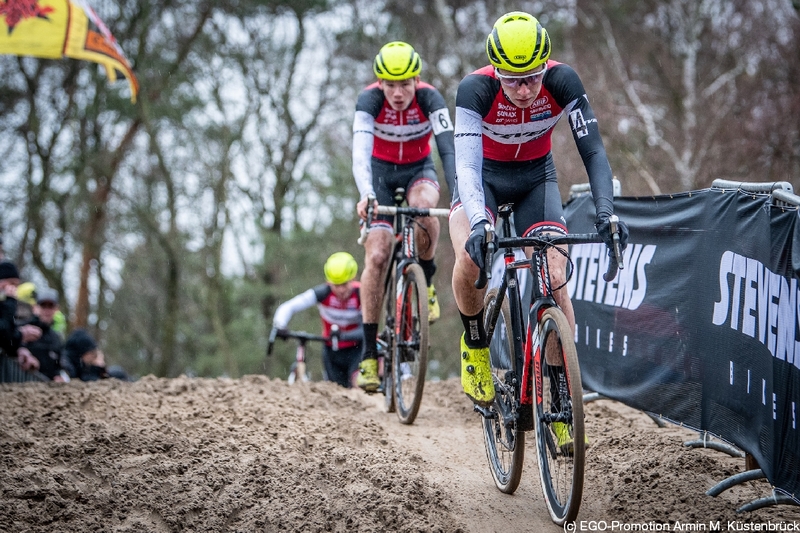 Next, on the first weekend in February, the ‘Cross Worlds will take place in Bogense, Denmark.